Last week somebody asked me how they could pray for me. It seems like a normal question that Christians would ask each other; but is it? I thought, when was the last time I asked somebody that. I can’t remember. As I pondered the question, I thought I could answer easily with the typical things like health, strength, patience, etc. Then I thought, you know what, I am not going to be so surface with this answer. You asked me a question and this is the real answer. Pray for me to have grace to extend so much further than I can ever imagine. Don’t pray for strength, because I might use it wrongly. Instead help me to see things in a way, that I cannot help but be faithful to Jesus.Living in a place where there is so much wrong, where I get lied to my face daily and people have no problems doing it, where people non-stop ask you for things as if I am life’s ATM, where doing bad is often rewarded and doing right is frowned upon; I always want to pray for justice, but I know the result of true justice and I don’t want that for anybody. The guy who pretended to be our friend and worked as a guard for us; he stole much more than a tablet, a phone, and soccer equipment. He stole trust and security from my children. I want justice, but I should desire grace. Pray that I do, because right now, I don’t. Pray for weakness. So many times on this journey I feel the weight of having to be strong. I can’t show my weakness, too many times I hold back my emotions to show that I am strong, when I really am not. For the thousand times somebody lies to me or challenges me because I do things in a different way. For the times when I am giving my best, but it is not good enough still. For the time that my family needs me to lead. For the time that people are asking a million things of me that I can’t pull off, but for some reason I try. Pray for me that in those situations, I can show my weakness so that God can show his strength. Don’t pray for me to have energy, but instead pray for me to find rest in Jesus. I am tired. I am very tired emotionally and physically. I don’t want to have fake energy from a can of Red Bull. I want to have rest in Jesus name. This is so hard for me. I know I have a three-week break coming at Christmas when we travel home, but that isn’t enough. Pray that I can truly rest in that time. Pray that I don’t have to worry about where we are going to come up with the $5,500 it costs us to fly home, yet our funding is below where we need it to be and I am not even sure if we will have the money to pay rent next month. I won’t be able to rest with that thoughts on my mind the entire break. Sure I won’t be dealing with the struggles of living in a third world country, but that doesn’t mean rest is coming. Pray that I don’t feel the weight of the world on every decision that is made in life, because right now I do. Pray that I can handle being an attraction, when I don’t want to be. That after 10 years in a place, I am still new to people who want to stop and stare simply because I look different and they expect something from me. Not a day goes past that I am not asked for somebody to give them something. Pray for me to remain calm when I would rather scream. Pray that we as a family can find the right people to lean on, because too many times before and even in this moment, we are losing another friend who is moving away. Pray that my kids can build meaningful and lasting relationships with kids who will help them in their faith journey. Pray that my friends and family back home know how much we wish to be closer to them and a part of their lives, but we can’t be. Pray that those same friends and family will know how much it hurts when they tell us to come back home, knowing we have something big to do here. Pray for support so big that we feel it in every moment of our life. Pray for yourself to know what is happening and ask how you can support us. 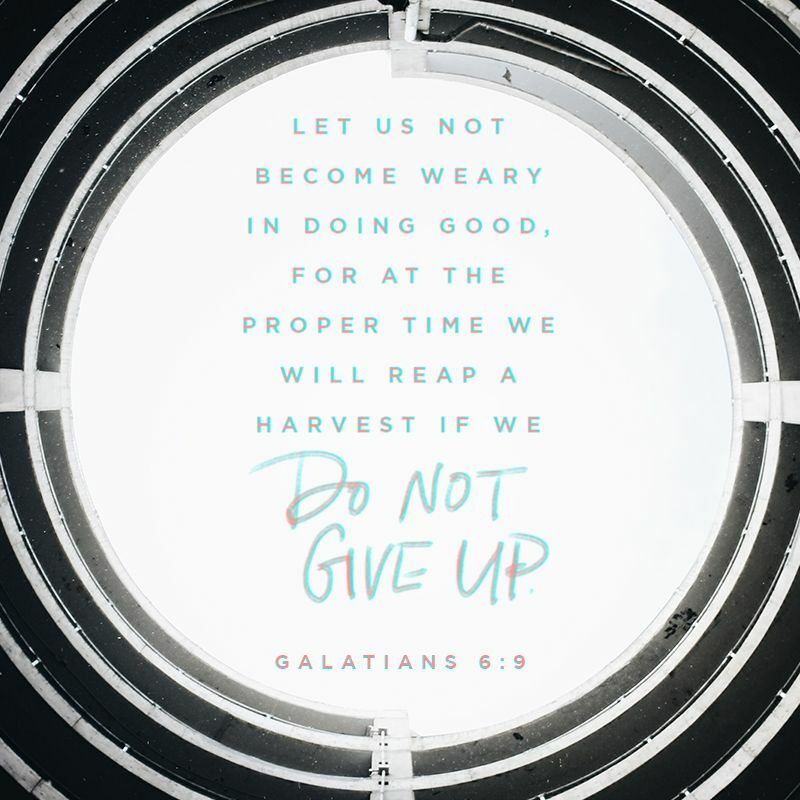 Most of all pray for Galatians 6:9 to be ever present in my life. That through all the spiritual warfare that happens here, and it seems to be full out war right now, that I won’t grow tired of doing good. Pray that when I do find rest in Him, that I come out so refreshed that I hit the ground like a ball of lightning. 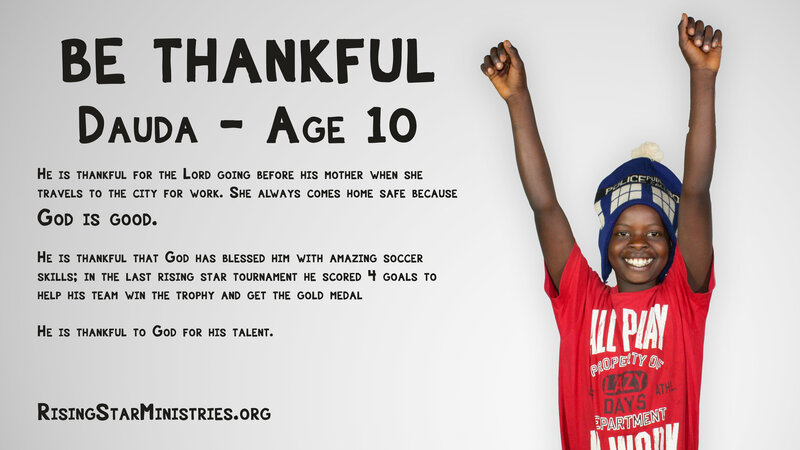 Because there are kids like Dauda who have hope in Christ through Rising Star. We certainly need your prayers. We also know you need ours. Let us do this thing called life together. Let us pray for each other. 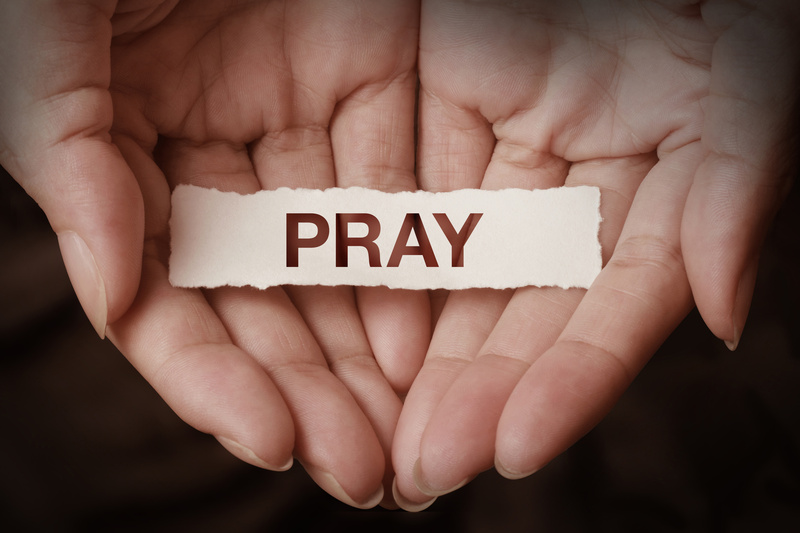 Tell us your prayer needs as well.